Belize is preparing to completely ban single-use plastic and Styrofoam items by April 22, 2019, to reduce the environmental damage caused by plastic pollution. The Government of Belize (GOB) has taken this environmentally friendly path after taking note of the alarming increase in pollution and garbage caused by non-biodegradable items like plastic bags and Styrofoam food containers. This move is welcomed across Belize, including Ambergris Caye, where the eradication of plastics is strongly supported, particularly about food utensils and shopping bags that are a main source of pollution in both terrestrial and coastal environments. The journey to the complete eradication of non-biodegradable items gained force after a sitting of the Cabinet in March of 2018. At this meeting, the government approved a proposal to ban single-use plastic bags, Styrofoam products, and plastic food utensils by April 2019. The Ministry of Fisheries, Forestry submitted the proposal along with the Environment and Sustainable Development; Ministry of Investment, Trade, and Commerce; and the Ministry of Tourism. The latter led a collaborative taskforce comprising of the Department of the Environment (DOE), Customs Department, Beltraide, Directorate General of Foreign Trade, and Solid Waste Management. The task force indicated that cleaning up plastic and Styrofoam trash places a large financial burden and a great threat to Belize’s environment. Speaking on the burden of trash caused by these items was the Chief Executive Officer in the Ministry of Fisheries, Forestry, the Environment, and Sustainable Development, Dr. Percival Cho. “I think if I can recall correctly, we use about two million plastic bags per year as a nation,” said Cho. “We know this by estimating how many are imported into the country,” Cho stated a person might use up to 50 plastic bags in a week, adding to the increase in garbage and effects on the environment. Cho said that Belizeans and people around the world need to be concerned about their impact on the environment, which increases every day. “We can all play in reducing our footprint and plastics are one of the major items that build up in our ecosystems,” said Cho. According to Environmental Officer Maxine Monsanto from the DOE’s Environmental Law and Policy Unit, all garbage containing plastic items end up in the dumps throughout the country, where they can remain for hundreds of years. Items like Styrofoam are made from a poly-styrene based petroleum product that does not biodegrade. “It accumulates and eventually ends up in our environment,” said Monsanto. “It ends up on our highways, rivers and in the sea where it can affect our barrier reef. Marine animals also consume plastic at times, confusing it with food, which can endanger their lives and ours as well if we consume contaminated seafood.” Monsanto explained that the transition to a greener practice in Belize will start via a regulatory process. This will comprise of regulating importation, production, manufacturing, and use in the commercial market. “You will not be able to bring it in the country, nor produce it or sell it in a commercial business sense,” said Monsanto. But before this happens, GOB needs to prepare and approve legislation, hold consultations with stakeholders, develop incentive instruments and create standards and specifications for what products will replace the products that would be phased out. Many businesses across the country have already started looking for alternatives to replace plastic and Styrofoam products. 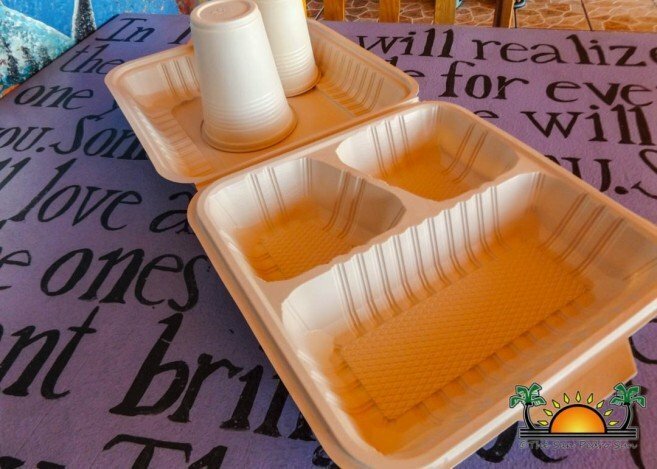 They are using environmentally friendly products from suppliers that have begun to distribute biodegradable cups, plates, and bags. They encourage their customers not to use plastic bags if they do not need one and to opt for reusable ones to do their shopping. Businesses see this initiative as providing healthier options for both people and the environment. On Ambergris Caye, The San Pedro Town Council indicated that they are in full support of the project and will enforce it when it comes into effect. Mayor Daniel Guerrero indicated that it will not just reduce garbage, which is one of the greatest issues on the island but will make San Pedro healthier and a better place to live. He added that with the support of the community, the project will be a success benefiting the island’s delicate environment. The island business community is also in support of phasing out single-use shopping bags and plastic food utensils. Several business owners shared with The San Pedro Sun their support and excitement for this new green initiative. 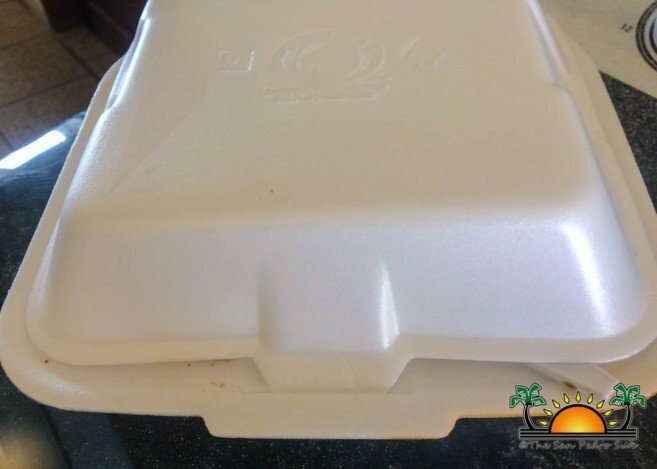 The management of the popular El Fogon Restaurant said that they have already started the transition by using biodegradable straws, plates and encouraging their customers to discontinue using Styrofoam products. “We are excited about this new alternative, and we will abide by it a 100%,” they said. Another business that is also transitioning is Brooklyn Brothers Bagel Shop. They use bamboo straws and encourage their customers to follow the green way and use glass containers to drink their coffee and drinks. They are very positive about the initiative and hope that supplies will be enough to replace the current non-biodegradable items. 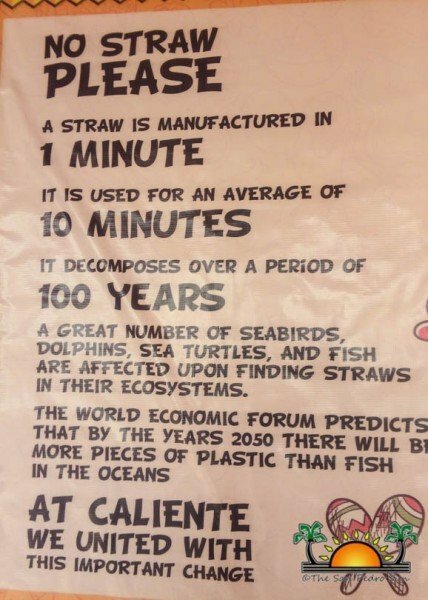 “As long as the supply is there, the transition should be smooth.” On the beach, Caliente Restaurant has also started their own campaign with a poster that reminds customers to abstain from using plastic straws. At the same time, they are starting to serve take-out orders in biodegradable plates. They are very excited about the project and believe it will even attract more tourism to the country. 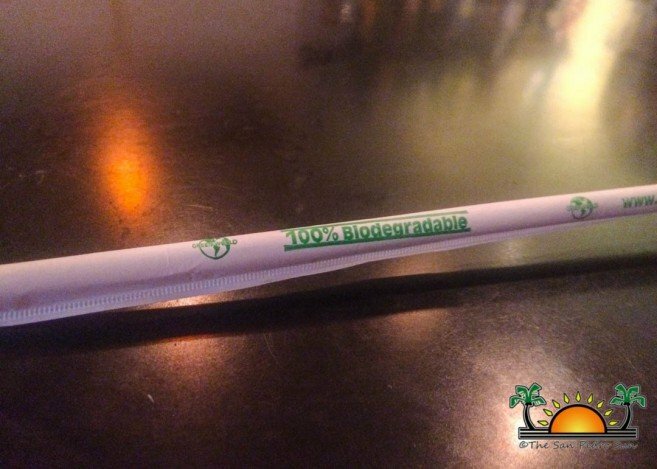 The many coffee shops downtown are also on board with GOB’s plan to phase out non-biodegradable products. Coffee Bar is using metal straws and provides wooden spoons for their customers to enjoy their favorite drinks. They told The San Pedro Sun that this initiative might reduce garbage, as people will become more concerned about taking care of the environment and keeping the island clean. The idea of first educating the people was brought up by some of the supermarkets on the island. Save On Super Market stated that banning plastics will help a lot with the reduction of garbage, but people need to get informed why they need to do so. They said they are ready for the transition and will start replacing their shopping plastic bags for something for environmentally friendly. Almaza Super Market is also another business that is supporting this move and indicated that once there is a reliable supplier of biodegradable products, they will start placing their orders. Island residents on the whole are happy with the idea as they also believe their island will have less garbage and the life of the surrounding marine resources can thrive. These resources are the main source of livelihood of the island population that works in the fishing and tourism sector. After April 22nd, Belize will join over 30 countries around the world that have banned single-use plastics. 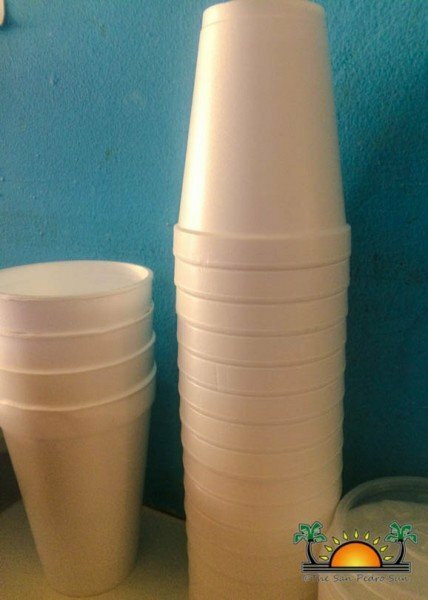 In the Caribbean region, as of January 2019, Dominica banned common plastic and single-use Styrofoam containers. The Bahamas plans to do so by 2020 followed by Bermuda. In Central America, Belize will become the first country to accomplish a nationwide ban on single-use plastic bags and Styrofoam items. The other Central American nation to follow this step will be Costa Rica, which expects to approve legislation by 2021.